Today we're really excited to share our plans for a new feature called Resource Wars. Coming your way in the upcoming October expansion, EVE Online: Lifeblood, Resource Wars will enable you to continue fighting for your Empire in sites called Mining Expeditions all across high-sec space. 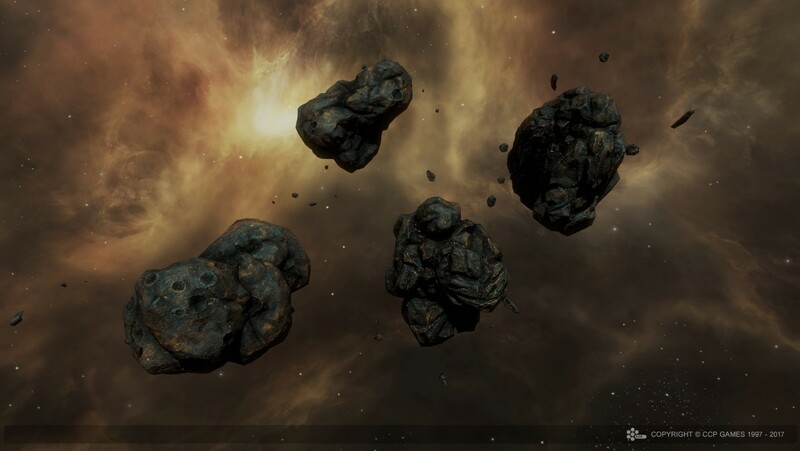 After warping to a Mining Expedition's heavily worked asteroid fields, you can take part in the struggles of New Eden's empires to mine rare ores that are the lifeblood of their war machines. You’ll have to hold off ruthless pirate raiders hoping to seize these riches from your empire, so that the Mining Expedition's freighters can safely deliver their precious cargo to the empire's refineries and shipyards. It's vital that your empire recover as much as possible from the depleted asteroid fields as they look to build up their fleets into ever more powerful armadas. You and your friends will be critical to their efforts. For decades, each of the four core empires have been sending Mining Expeditions into these asteroid fields to harvest the vast quantities of ore required to manufacture advanced technologies. These extremely important strategic resources have been gathered under the watchful eyes of each empire's dedicated military logistics and supply corporation. They have surveyed all existing mining expeditions and determined that they are rapidly being exhausted with pirate raiders wreaking havoc on their returns. A high priority is now being placed on extracting all remaining resources in the face of growing pirate raids. As Blood Raiders, Guristas Pirates, Serpentis and Angel Cartel attack these desperate operations, it is essential that capsuleers play their part in the resource wars between the empires and the pirates. You and your fleet mates will form a strike team with the empire mining expedition fleet to warp to these previously secure sites and survey the environment to select the best asteroid clusters to focus on. If you choose to mine with the fleet, your role will be to gather the resources as quickly as possible and deposit the rare ore into waiting haulers. If you fit for combat, you will defend the fleet miners against the incoming pirates and their reinforcement waves. After your force enters a site, mine the asteroids and eliminate the pirates as quickly as possible before heading to the next site once the haulers are filled and warp away. 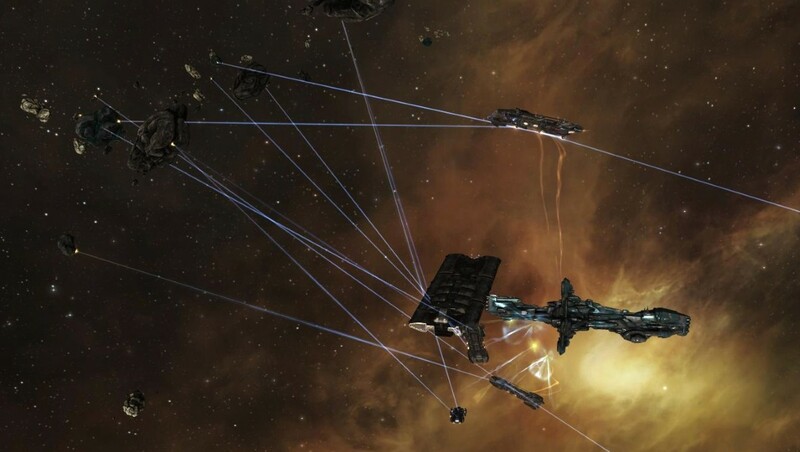 These sites will contain a new asteroid type, never seen before in New Eden. The Mining Expedition sites are located in each empire's own space all across high sec. With 5 tiers, they are an ideal place for new players, veterans and everyone in between to work together towards a shared goal with clear goals, objectives, and feedback. The reward for successfully completing the sites will be ISK, standings and LP with the new Resource Wars corporations. Increasing your standing with the corporations will allow you to enter more restricted sites where you fill higher capacity haulers and face tougher opponents. For those you’ll be able to bring higher tier ships and earn greater rewards for your efforts. Tier 1 of the mining expedition sites will be open to Corvettes and Frigates, with expedition sites opening up to Battleships at Tier 5. The sites will have a maximum capacity, but your empire does not expect you to share your reward so the number of players who enter the site alongside you will have no impact on the payouts. While in the site, you will notice that the empire's ships have new SKINs–a unique one for each empire. These will be available to you inside reward crates available for Loyalty Points (LP) and ISK from each empire's Resource Wars corporation LP stores. These reward crates will also contain a selection of ships with basic modules to complete a fit and a fitting plan. We want to allow players to participate in the Resource Wars, earn standings to unlock the higher tiers, and use their ISK and LP to buy the next tier reward crate from the LP store. As these ship packages feature a unique Resource Wars SKIN and will be available via the LP store through all stations in each empire’s sovereign high-sec space, they will cost more than purchasing the same hull straight from the market. 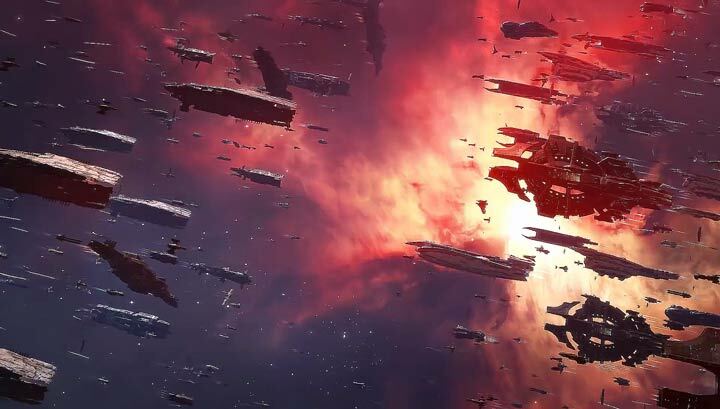 As we head towards the launch of the EVE Online: Lifeblood expansion on October 24th, we will keep you updated on Resource Wars as it progresses, sneak peaks of the new SKINS, and other possible items we’re considering for the new reward crates. Leave a Reply to neuroscientia Click here to cancel reply.